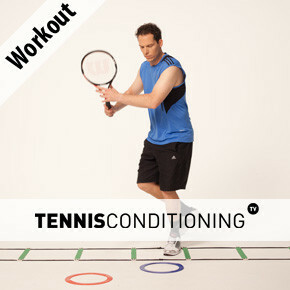 Tennis plyometric training focuses on optimizing neural pathways for maximum power output by maximizing contact transition speed. 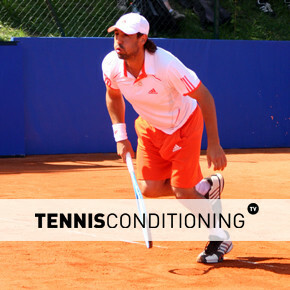 During tennis plyometric training the emphasis is on optimizing neural pathways, where the athlete accelerates the speed of the movement so that it almost becomes reflexive in nature. To do this the resistance has to be lower than that used during ballistic exercises but the time between repetitions is kept to a minimum, leading to faster turnovers. 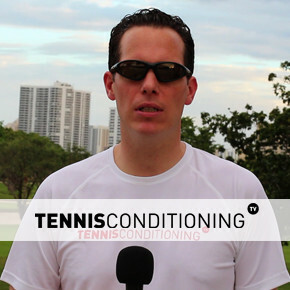 Tennis plyometric training revolves around improving contact transition speed by exploiting the benefits of the stretch-shortening cycle (SSC); the SSC is being used to enhance power production during a given jump, throw, pass, lift, etc. 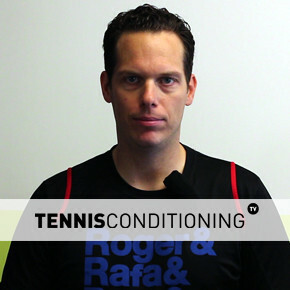 The SSC is initiated when the targeted muscle groups of a specific action undergo eccentric deceleration, such as the quadriceps and gluteals, when landing from a jump. 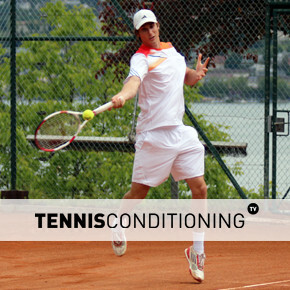 During eccentric deceleration, the muscle groups needed to accelerate the body away from that position, i.e. to jump back up off of the ground, are lengthened, while the muscle groups aiding in the smooth deceleration of the landing are shortened (hamstrings/hip flexors). Simply stated, this interaction of simultaneous shortening and lengthening produces a ‘spring’ of potential energy that can be unleashed during the concentric acceleration (the rebound jump) if the transition time, also referred to as amortization phase, between the landing and the rebound action is limited. Most research suggests the transition time needs to be less than ¼ (0.25 sec) of a second. 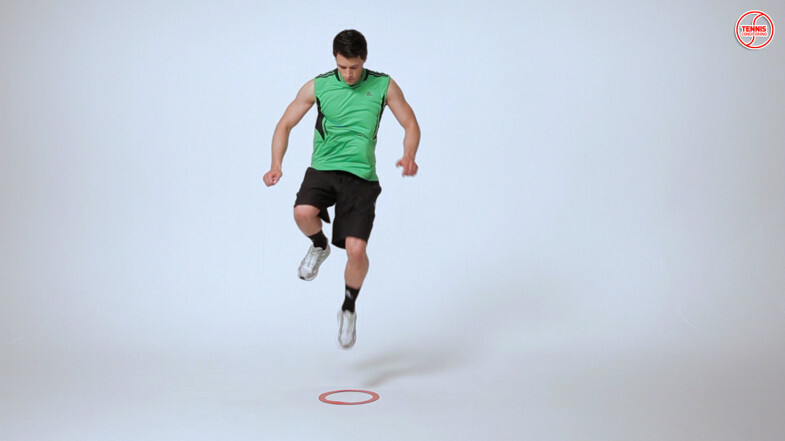 In other words, during a plyometric exercise the athlete tries to accelerate an object (body) as fast as possible, moving its center of mass rapidly from point A to point B; velocity of the movement needs to be at a maximum. Therefore, the shorter the ground contacts, the faster the neural transfer. For optimal neural feedback development the amortization phase needs to be less than 0.25 seconds. 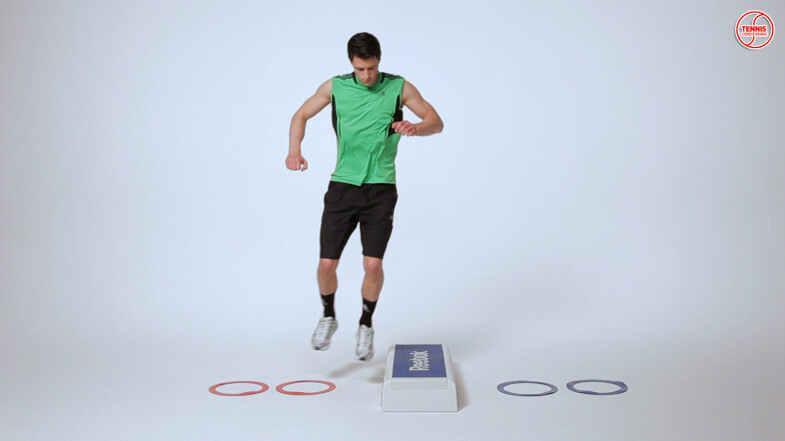 Oftentimes athletes cannot do plyometric exercises in true plyometric fashion because they are too slow. 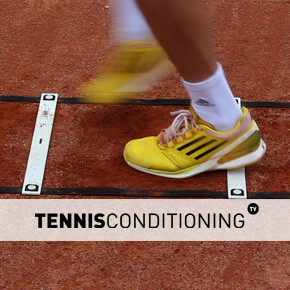 Since tennis plyometric training require ground contact time of less than 0.25 seconds, resistance (weight) has to be on the lower end; otherwise the athlete wastes time decelerating and hence exceeds 0.25 seconds of ground contact. 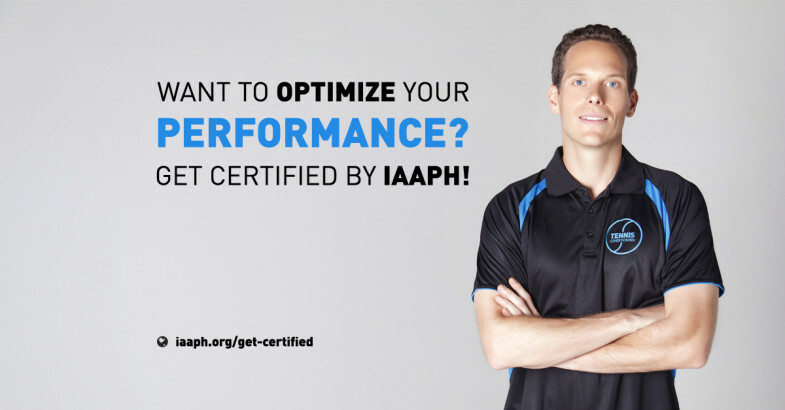 It is important to ensure that before the athlete starts doing the exercises at maximum speed that the exercises are done correctly with regards to form because that translates into improved performance.